Welcome to the 320th Inspire Me Tuesday. As you know we didn't have a linky party last week since that was the beginning of the 2016 Summer Home Tours. If you missed any of these tours, you can catch them all here. Today I am sharing a couple of links from two weeks ago that caught my eye, but first I want to convey my heartfelt sorrow and prayers for all those affected by the Orlando massacre. I will never understand such actions. 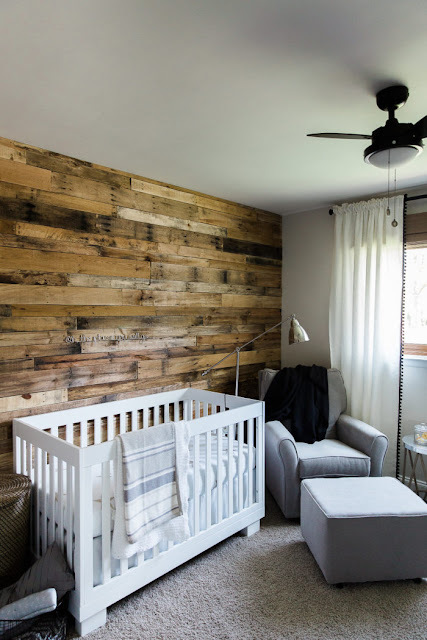 Lynzy & Co. have made over every square inch of their home and this room has been made over several times. I love it's present identity as their new nursery. 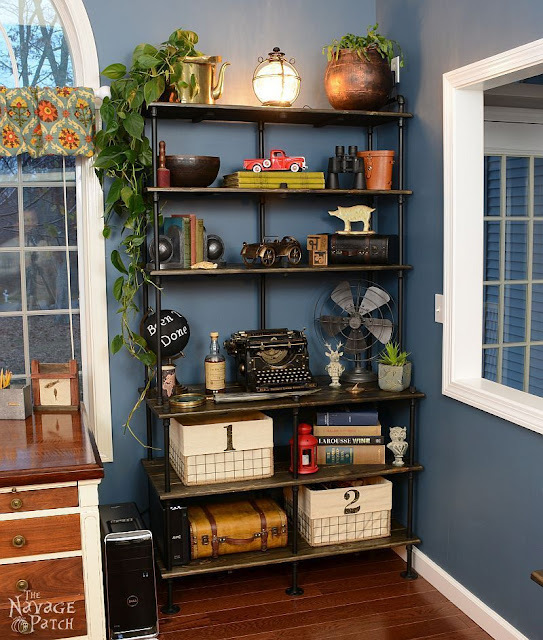 The Navage Patch shares a step by step tutorial for this fabulous Industrial shelving unit. I love this and how she decorates it too. The Heathered Nest shared a fabulous money saver with her step by step tutorial on painting that old tile and tub. Doesn't this look fabulous. 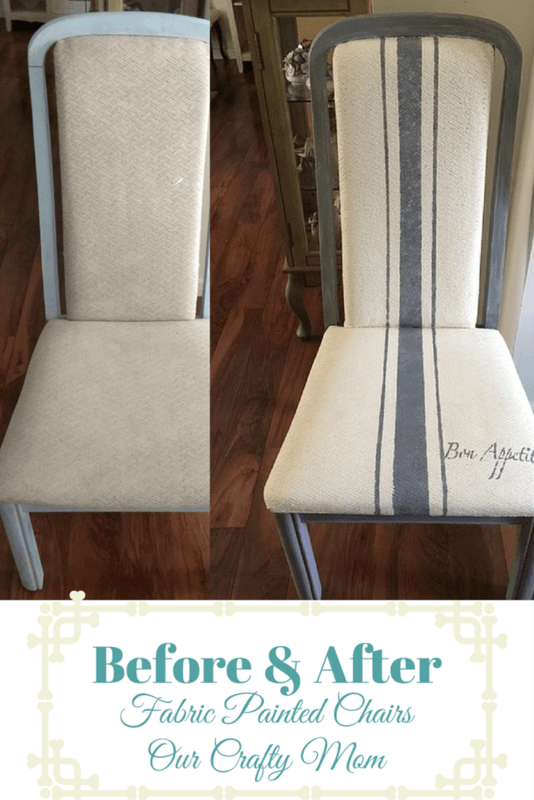 Our Crafty Mom proves again how the power of paint can change anything. Love this chair makeover. Kitchen Progress Update To This Point. 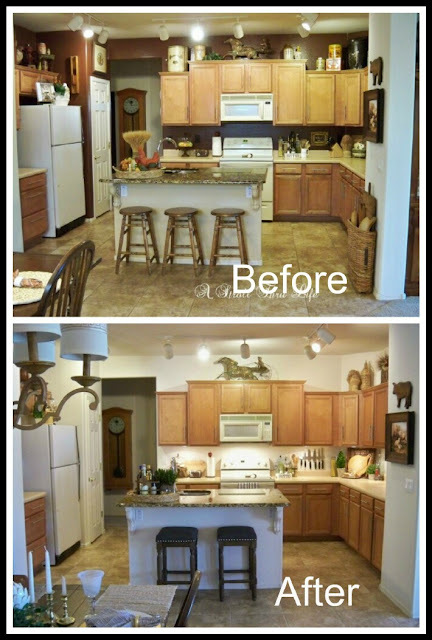 If you missed it, I would love to have you follow along as I do a complete makeover of my kitchen. Here is the before and after to this point. Still to come, new counters and appliances. Great features, those paint transformation are amazing! Thanks for the party, Marty! Thank you for hosting! Your whiter brighter kitchen looks wonderful. Can't wait to see all the changes you have in mind. Thanks for the party Marty, I'm crazy about the industrial baker's rack! Your kitchen looks great so far, I know you must be anxious to be done with it all! Marty, thank you for hosting and thank you for the summer tours. Wonderful! Thank you so much dear Marty. Lovely party and lovely hostess! thanks for the warm thoughts Marty! Marty, I am really loving your kitchen with its updates. THanks for hosting the party. Love that nursery - what a lucky baby!! Your home tours are the best. Thanks for hosting.